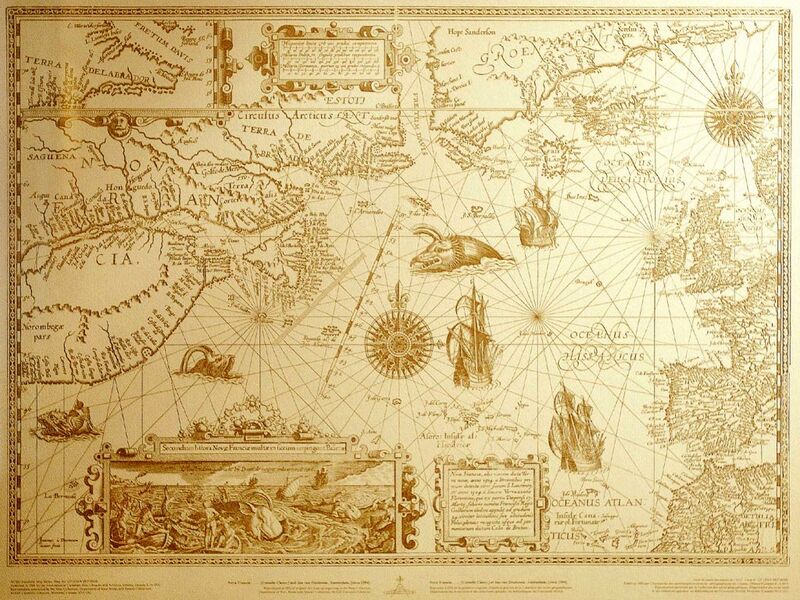 Have you ever seen depictions of dragons, basilisks or serpents wrapped around ships on old maps? These illustrations were used by cartographers in medieval times to denote dangerous or unexplored territories. The world was still terra incognita at the time. For the men who drew them, these mythological sea creatures marked the edge of the world as they knew it. Sailors would recount (no doubt drunken) stories of real creatures, warped by their fear and a lack of understanding of them. Their sightings became the source for many writers and illustrators. There was a belief that every terrestrial animal had an equivalent in the ocean, so their descriptions were based on animals which they had seen on land, combined with fish - sea dogs and sea pigs were commonly seen! These hybrid and whimsical imaginings start to disappear from maps at the end of the 17th Century, as people’s perception and understanding of the oceans improved.